This record features expert harpsichordist Raymond Erickson. He was also a specialist in early computer musical synthesis and worked at IBM’s Systems Research Institute. This recording is very much in the vein of early electronic classical works like Wendy Carlos’ Switched on Bach. 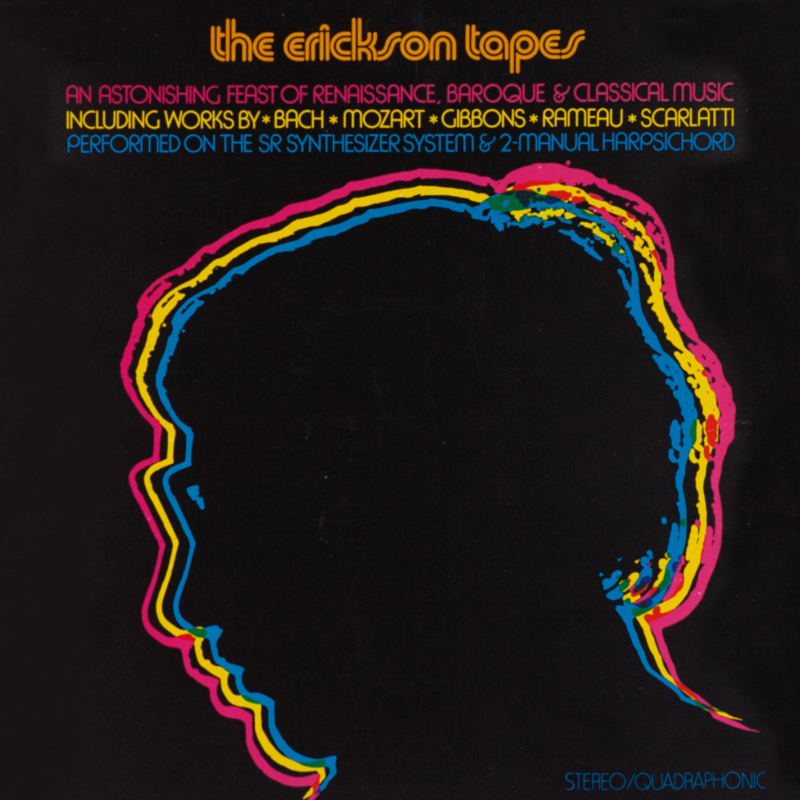 The Erickson Tapes were Erickson’s first recording and remain an important, overlooked, and yes, cheesy document.